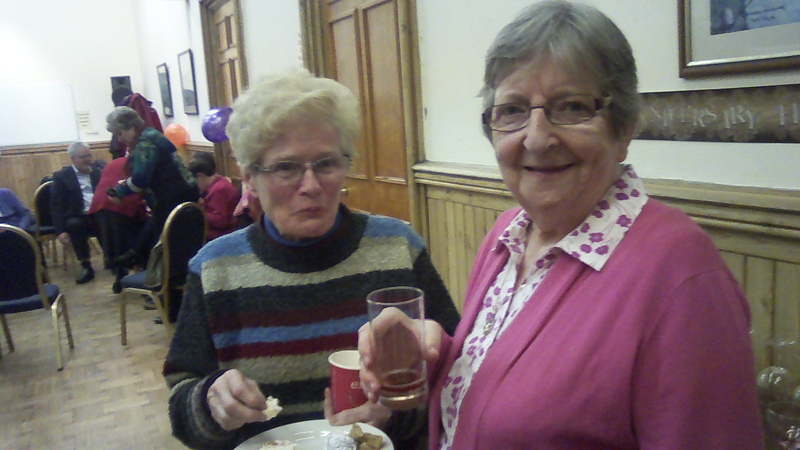 We met on March 19th in All Hallows College for the Spring General Assembly. We were aware of the joy of meeting each other and celebrating life together. 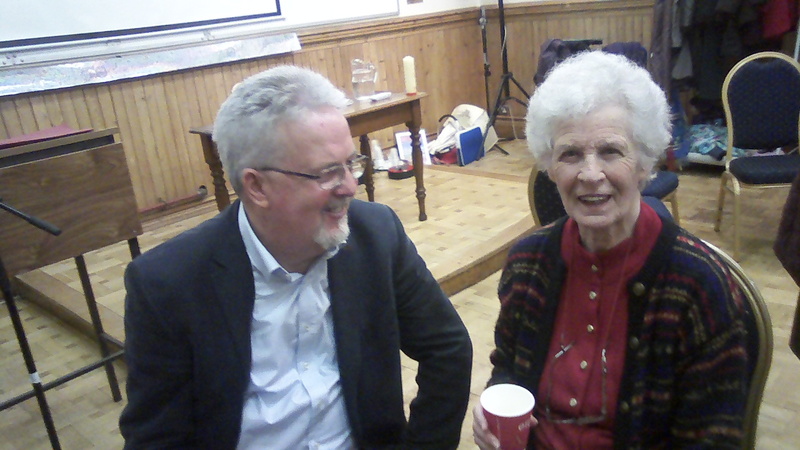 Mary Keenan was present, making the link with the General Team and bringing a flavour of the international congregation. 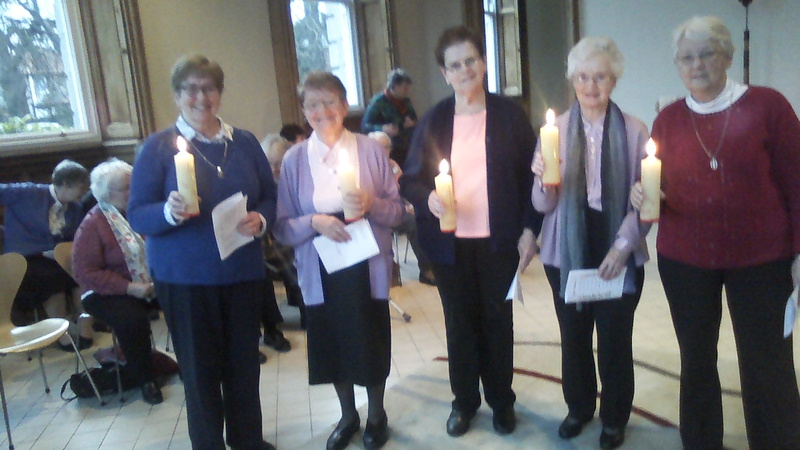 Father Pat Fogarty came from Cork to celebrate the Eucharist with us, a special occasion for the sisters who have jubilees this year. 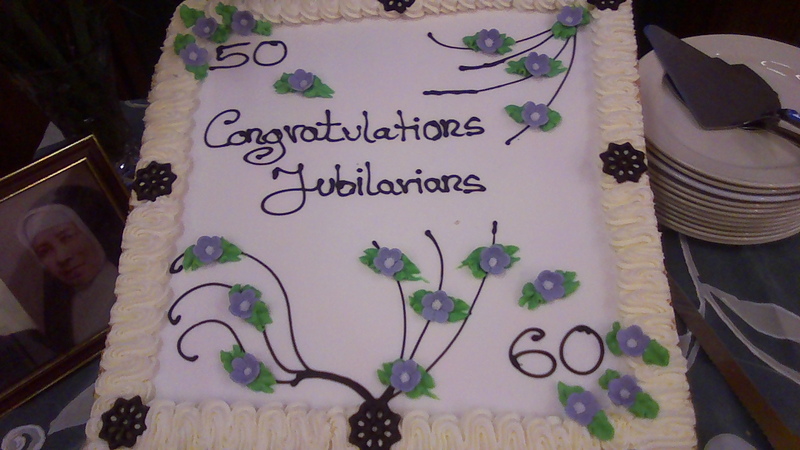 After Mass we gathered to mark the occasion, the Jubilee cake was cut and enjoyed by all!